Facial recognition can be used as a valuable identification tool in any type of investigation. This technique is especially valuable when fingerprint identification is not available or it’s not practicable, depending upon the type of case or circumstances. Similar to automated fingerprint identification, facial recognition provides law enforcement agencies with multiple public safety applications. Fingerprints offer a higher rate of accuracy than face recognition, but there are many benefits when fingerprint data is not available. This type of identity verification assists with field (patrol officers, investigators) and intelligence gathering, crime prevention, and criminal investigations. Government agencies and private organizations have kept photo collections of people. Personal identification documents are compiled from passports and informal membership cards from schools and athletic clubs. The main problem that has plagued government and law enforcement agencies was the quality of images derived from software programs over the years. There have been significant steps in the quality and new technology from the late 1980s through 2007. 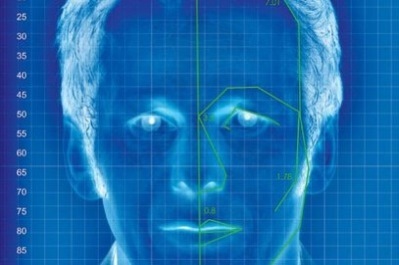 Just like fingerprint recognition, facial recognition allows the data to be easily shared between agencies, allows people to be identified without fingerprints for legal or physical reasons, and by using two biometric techniques it allows the workload and verification process to be reduced. The efficiency and accuracy improves drastically for identification. Photo images are often made available from surveillance videos, a witness’ camera, Internet sites (social networks and websites) or copies from identification cards. The first step in this painstaking process is to extract the facial images from available evidence. This can take hundreds of painstaking hours of searching for visible facial images, but with various software programs it allows large amounts of data searched. Alphonse Bertillon (1853-1914) was the criminologist that developed judicial anthropometry in France. He developed a face classification in order to recognize individuals who were repeatedly arrested. His method was to organize portraits that could be sorted by common morphological characteristics or specific shapes of the different parts of the face. This classification is known as “portrait parle” or spoken portrait. 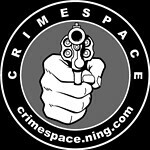 This entry was posted in Forensic and tagged author jennifer chase, award winning author and criminologist jennifer chase, csi, facial recognition, forensics, photo images. Bookmark the permalink.